A cataract is the clouding or opacification of the lens inside the eye. It lies behind the coloured part of the eye (iris). In a normal eye, this lens is clear. It helps focus light rays on to the back of the eye (the retina), which sends messages to the brain allowing us to see. When a cataract develops, the lens becomes cloudy and prevents the light rays from passing on to the retina. The picture the retina receives becomes dull and fuzzy. Cataracts usually form slowly and most people experience this as a gradual blurring of vision. No. Cataract is not caused by overuse of the eyes and using the eyes when the cataract start will not make it get worse. Are there different kinds and causes of cataract? Yes. Cataracts can be caused by injuries to the eye. There is a link between certain diseases, particularly diabetes. Some drugs can cause cataracts for example steroids. Babies can be born with congenital cataracts. Most forms of cataract develop in adult life. This is called age-related cataract and it is the most common type. It can occur at any time after the age of 40. I seemed to have to go to the optician more to get new glasses! There may be a need to get new prescriptions for glasses more often when cataracts are developing. When cataracts worsen, stronger glasses no longer improve sight. and objects have to be held close to the eye to be seen. When the cataract progresses to the point that it is interfering with daily activities and normal lifestyle, cataract surgery is usually the next step. What kind of visual results can I expect after the cataract removal? The primary objective of cataract surgery is to remove the cataract. Although the quality of sight should improve after cataract surgery, glasses may be needed for perfect vision. Could anything have been done to stop me developing cataracts? There is no known prevention for cataracts. Modern cataract operations are highly successful for the majority of patients. No. Surgery is the only effective way to remove a cloudy lens. It cannot be removed by eye laser laser. I have cataract developing in both eyes – are both treated at the same time? No. It is common for cataracts to develop more quickly in one eye that in the other. The timing of a cataract operation is decided by the ophthalmologist. Usually, the more seriously affected eye is operated on first. Do I need any special tests before the cataract surgery? Yes. The doctor or sister will carry out special tests to measure your eye. This helps decide the strength of the intraocular lens which replaces your natural lens. However even with the most sophisticated equipment we can not guarantee that the lens we have chosen will be the perfect match for your eye, but it will be very close. The doctor will carry out the cataract operation using a microscope. 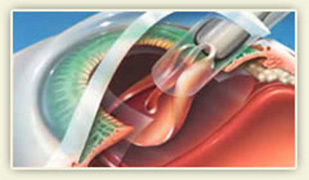 The eye is never removed and replaced during cataract operations. 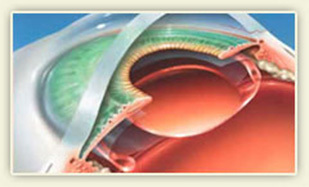 Most cataracts are removed by a technique called phacoemulsification. This technique uses sound waves to soften the lens, which is then removed through a small tube. The back layer of the lens is left behind and the new lens is placed in front of it. The wound is very small and self sealing, a suture is very rarely needed. This is a painless procedure. The operation takes approximately 20 minutes. Well over 90% of cataract operations are successful in restoring useful vision, with a low complication rate. Due to the high prevalence of cataracts, cataract extraction is the most common eye surgery. What kind of anesthetic is necessary? Most operations for cataracts are performed under local anesthetic. This is done by giving eye drops or an injection around the eye. You will be awake during the operation and will be aware of a bright light, but you will not be able to see what is happening. Alternatively the doctor or patient may decide to make use of general anesthetic. How will I be able to see after the removal of the lens? Your lens, which helps you focus, is removed during the cataract surgery and is usually replaced with a clear plastic lens. This is called the intraocular lens (IOL). It corrects the vision after a cataract operation, however many people may still require reading and or distance glasses. Cataract surgery will not correct other causes of decreased vision, such as glaucoma, diabetes, or age related macular degeneration. What are the major risks of cataract surgery? Although cataract surgery is highly successful, cataract operations and procedures can result in unsuccessful results, complications, injury from known and unknown causes. The major risks of cataract surgery include, but are not limited to bleeding; infection; injury to parts of the eye and nearby structures (from the anaesthesia or the operation itself), or pieces of the lens that cannot be removed; high eye pressure; a detached retina, and a droopy eyelid. Depending upon your eye and the type of IOL, you may experience increased night glare or double vision, ghost images, impaired depth perception, blurry vision, and trouble driving at night.